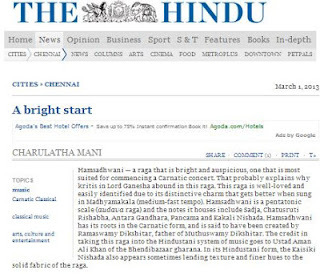 The article in the Hindu on Hamsadhwani is interesting. There is a minor error. by Veena Kuppaiyer as commonly believed. name was Gopalakrishna Iyer or Gopal Iyer. MSV has composed a ragamalika wherein the first part will be on Hamsadhwani. Its Kannan kovil paravai idhu ...sung by Vani Jayaram.